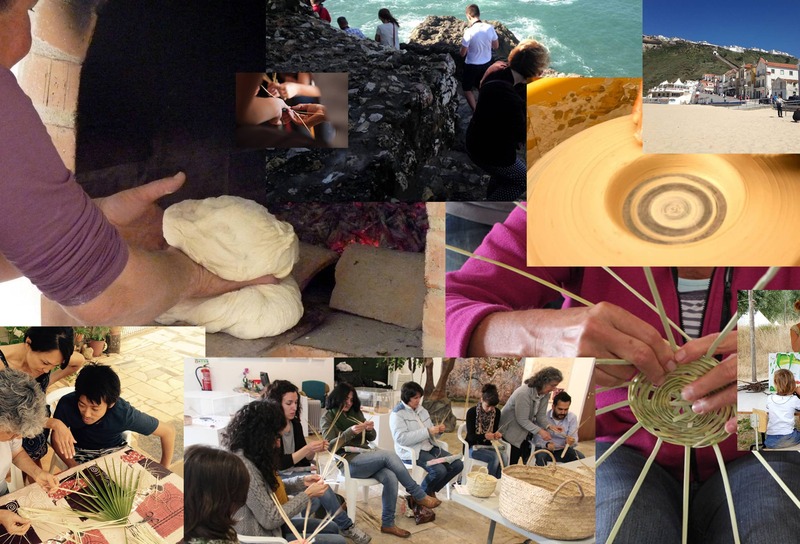 Second, to inform the development of a creative tourism network – CREATOUR – focusing on small cities and rural areas within the Norte, Centro, Alentejo and Algarve regions of Portugal. We are eager to learn from creative tourism efforts internationally that can advise the network’s development and the array of creative tourism practices to be conducted by the pilot initiatives within CREATOUR. Creative tourism offers visitors the opportunity to develop their creative potential through active participation in workshops, courses and other learning experiences that are characteristic of the destination where they are taken. Creative tourism allows visitors to deepen contact with the local culture by directly participating in cultural/creative activities and being involved in the creative life of the destination (rather than just displaying creative products, for example). The creative tourism approach allows the destination communities and regions to benefit from significant advantages, and enables artistic and other creative activities to play a driving role in broader socio-economic development. The conference is organized within the project CREATOUR: Creative Tourism Destination Development in Small Cities and Rural Areas (Desenvolver Destinos de Turismo Criativo em Cidades de Pequena Dimensão e em Áreas Rurais). The overall objective of CREATOUR is to develop and pilot an integrated approach and research agenda for creative tourism in small cities and rural areas in Portugal, developing strong links within and amongst regions. CREATOUR is a national three-year project (2016-2019) funded under the Joint Activities Programme of PORTUGAL 2020, by COMPETE2020, POR Lisboa, POR Algarve and Fundação para a Ciência e Tecnologia. Building on a twofold approach, CREATOUR intertwines Theory and Experimentation, combining multidisciplinary theoretical and methodological frameworks, cultural mapping, and benchmarking exercises with the development of an array of Pilots, or creative tourism case studies. The project builds on three interlinking dimensions of recent cultural and creative industries development in Portugal: (1) the development of artistic and creative industry hubs (“arts centres” or “creative factories”) in repurposed former industrial buildings or in restored heritage sites in many small cities and rural areas; (2) growing attention to the (re)vitalization and valorization of tangible and intangible cultural traditions throughout the country; and (3) the growth and development – and heightened visibility – of culture- and design-related creative products in Portugal. CREATOUR promotes the potential for the development of human-scaled, interactive, creative tourism featuring creativity- and culture-based experiential tourism experiences. Focusing on smaller cities and rural areas in which active cultural organizations and creative enterprises currently operate, the project aims to foster new or enhanced tourism offers building from local strengths, knowledge, skills, and traditions. The project aims to develop a sustainable creative tourism that is socially, culturally, environmentally, and economically rooted in specific places and is sensitive to these dimensions. It aims to give added value to cultural and creative traditions, skills, and knowledge as well as to emerging creative practices and pathways. Greg Richards has conducted research on a wide range of topics including cultural tourism, crafts tourism, sustainable tourism, tourism education and labour mobility in the tourism industry. 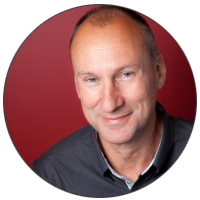 He has also worked extensively on the analysis and development of cultural and creative tourism in cities such as Barcelona (ES), London, Newcastle, Manchester and Edinburgh (UK) Amsterdam, Rotterdam and Den Bosch (NL), Sibiu (RO), Amman (Jordan) and Macau (China). He has published books on'Eventful Cities', 'The Social Impact of Events', the Handbook of Cultural Tourism and 'Reinventing the Local in Tourism'. The SAGE Handbook of New Urban Studies (edited with John Hannigan) is due out soon. He is full professor in the Department of Leisure Studies of Tilburg University and a member of the Advisory Council of CREATOUR. 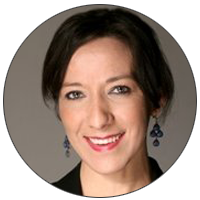 She founded and manages the Creative Tourism Network® and the Barcelona Creative Tourism program. She is regularly invited to speak in conferences as well as to teach in universities around the world and organized the I International Conference on Creative Tourism (Barcelona 2010). She publishes articles about creative tourism in different languages. Caroline also collaborates the European Union and the UNWTO as an external expert. She is an active member of diverse international cultural and tourist organizations. Since 2001 she has been in charge of the international area of the Foundation Society and Culture in Barcelona, from which she has been managing a wide range of projects, including the coordination of European funds projects and the organization of festivals for the Barcelona City Council. She worked in different countries: La Casa de Velázquez (Madrid), Festival de Cannes (France), as well as various projects in Louisiana, Mexico and Morocco. She was born in France where she post-graduated in Management of Culture and Postgraduate in Cultural Policies. Currently she is also a member of the Advisory Council of CREATOUR. Larissa Almeida has a degree in Hospitality and a Master in Business Administration with research in entrepreneurship. She has been mentor of some entrepreneurship programs and worked as a professor for Gastronomy and Tourism graduation courses. She worked as an NGO manager for 8 years, with particular focus on fundraising and management of international projects. Actually she works as a consultancy for business development in underprivileged communities and has large experience in social business modelling, development of creative tourism products. 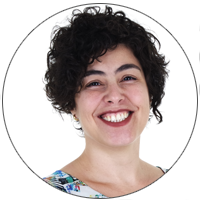 She is also the entrepreneur behind Loa Experiences, a creative tourism agency in Recife and the developer of the International Creative Tourism meeting, a creative tourism conference in Brazil. Registration is open until May 22. **The "pilots" are the partner cultural organizations that will develop and implement an array of Pilot Initiatives in 2017, 2018, and 2019, in Portugal. Please access the registration form here. Take the Metro (~2€) or a taxi (about 8€) to Gare/Estação Oriente railway station (around a 5-minute ride). Trains to Coimbra run every hour from 6 am to 9 pm. The fastest service is provided by Alfa Pendular (˜23€ Turística class), which takes about 1,5 hours to Coimbra-B station, followed by Intercidades (inter-city service) (~19€ Turística class), which takes about 2 hours to the same station. Take either the metro or a taxi (9 € or more, depending on time of day) to the Sete Rios bus terminal. From the bus terminal, there are frequent Rede Expressos coach services to Coimbra which take about 2,5 hours (~13 €). The coach station in Coimbra (Estação Rodoviária RBL) is situated close to the city centre (10-15 minutes walk). The Francisco Sa Carneiro airport in Porto is 11 km away from the city. The Metro is connected to the airport. The direction to it is signposted throughout the airport, so just follow the signs and take Line E from the airport to the Campanhã railway station. Metro trains run about every 20 minutes from early morning until after midnight. The trip will take about 45 minutes and cost about 2€. Three types of train services are available from the Campanhã railway station: Alfa Pendular service (fastest yet most expensive); Intercidades; and the Urbano. The cheapest is the Urbano train to Aveiro, available for every hour, connecting directly to the Regional train to Curia. In total (from Porto to Curia) it is around 2hours trip (6.60€). If you prefer it is also possible to take the train to Coimbra: two types of train services are available from the Campanhã railway station to Coimbra: Alfa Pendular service (fastest yet most expensive) and the Intercidades. The Alfa Pendular trains run almost every hour and take less than an hour to get to Coimbra-B. The second class single fare is ~17€. Intercidades takes slightly more than an hour and cost ~12€. From Coimbra you could take the Regional train to Curia (30min. trip). You have a train from Coimbra-B to Curia every hour (2.60€). Please note that accommodation is not included in the registration fee and must be booked directly with the hotel. Please be aware that the conference will be in the tourist season in Portugal, therefore participants should make their reservations as soon as possible. You must identify yourself as a conference participant at the time of booking to have access to one of the reserved rooms at the special conference rate. Participants may also wish to consider other accommodations.